All mechanical engineering students at Louisiana State University are required during their senior year to take the M.E. Capstone Design course. It is actually two courses, one in the fall and one in the spring, combined. Students are required to work in groups to complete a project provided by a sponsor. In the fall they are required to complete a conceptual design and present it to a board of engineers from industry as well as faculty and former faculty. In the spring they must build and test a prototype and present to the same board. The project my group chose was the one-man mobile deerstand. It was required that a deerstand be designed that met the following criteria. During eight months of hard work we came up with a design and built a prototype. The stand met all the requirements and won an award for the best mechanical engineering senior design project, The Ben Burns Award. To see the website for our project click here. The link includes some of our presentations including pictures of the final prototype. 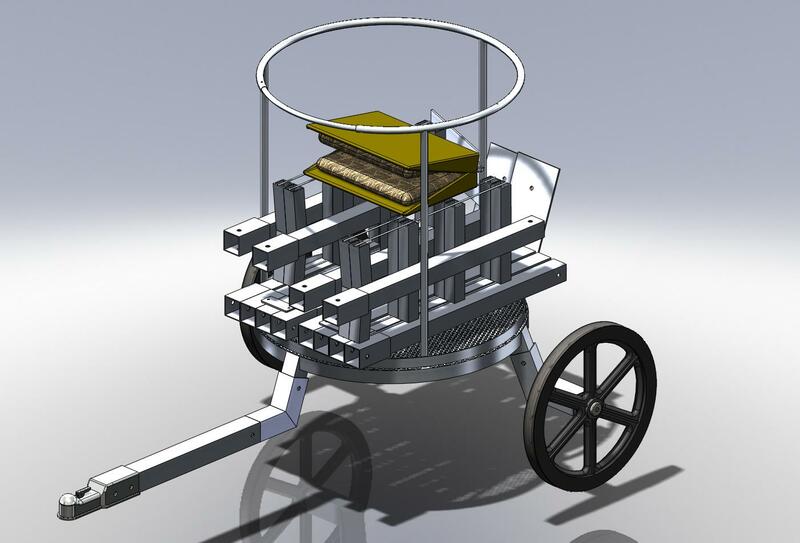 As one of my duties on the team, I was responsible for doing the 3-D CAD drawings for the prototype. I drew them all in SolidWorks. Here are a few snapshots below. 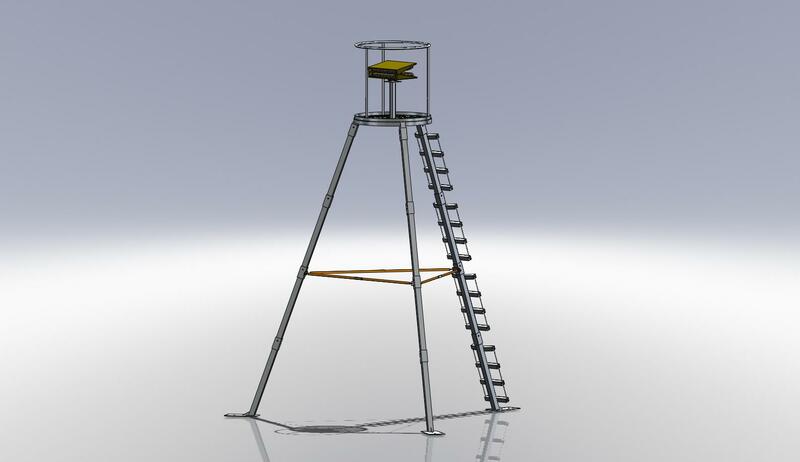 The stand is a tripod design and is 12ft in height from the ground to the base of the platform. One leg doubles as the ladder for the stand and conventional ratchet straps are used for the cross members between the legs. 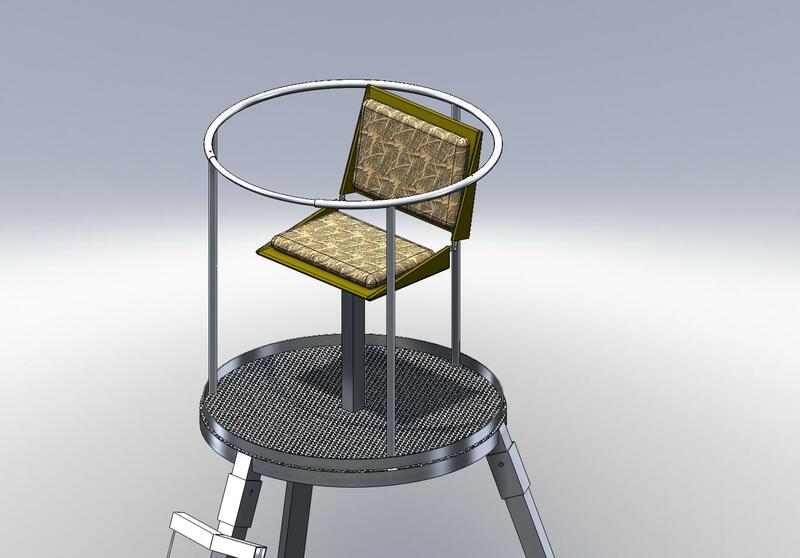 The platform is three feet in diameter and encompasses a chair with a 360 degree swivel. The railing slides for entry into the stand. 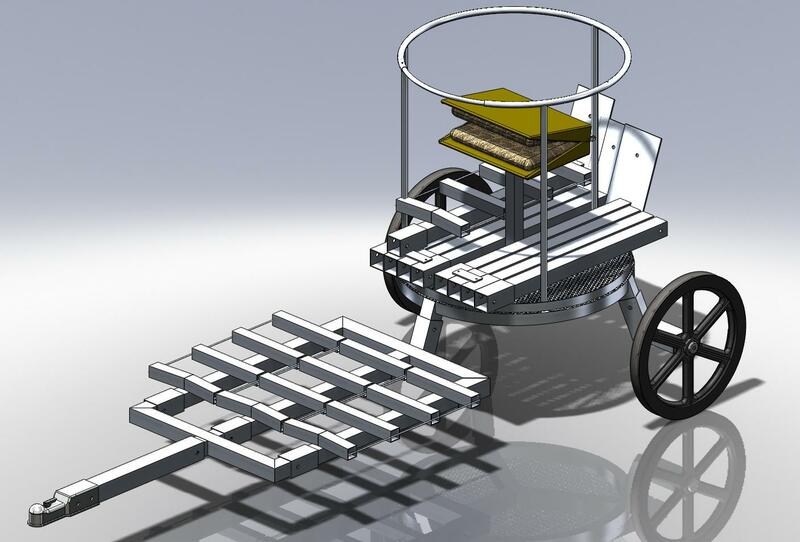 The stand doubles as its own trailer with wheel and hitch attachments. All parts of the stand fit within the platform during transit and are held in place by the same straps used for the erect stand. 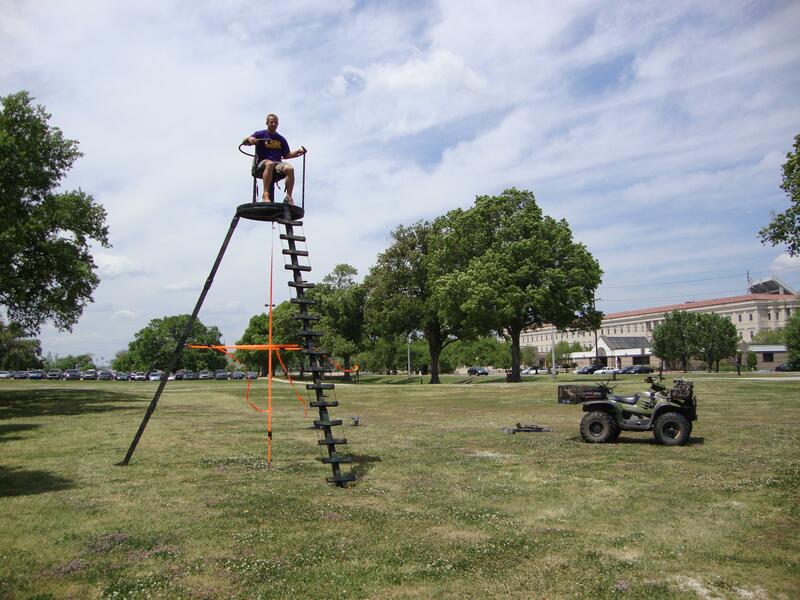 Not only does the stand double as its own trailer, but also, by using the ladder pieces, a hunter can carry additional cargo such as equipment or possibly a deer after hunting. The project was a great success and a great learning experience. I believe it was the one course in our degree program that encompassed nearly everything we had learned throughout our four years from design and analysis to communication and presentation. It was both challenging and rewarding.